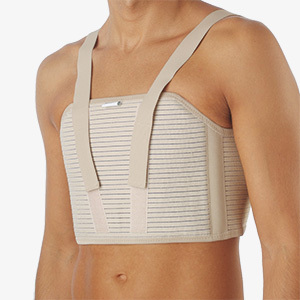 Line of items indicated for back and lumbar support, for hard work, for incorrect postures and after surgery. 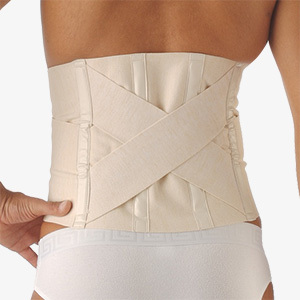 Line of belts for lumbal support, corsets and universal hernia-aids. Orthopaedic corset with 4 back sticks for lumbar support and adjustable velcro fastener. Orthopaedic corset with 4 back sticks for lumbar support, elastic strong cross in the back and adjustable velcro fastener. 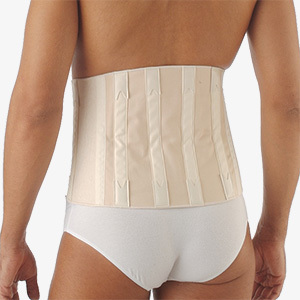 Classic support orthopaedic belt, with 4 back sticks and adjustable velcro fastener. 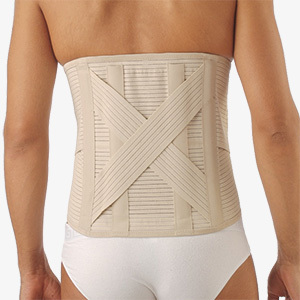 Back support band, flexible for vertebral and posture problems. Unisex. 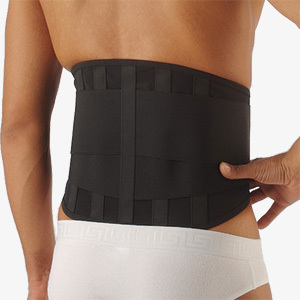 Back support band and belt, flexible for vertebral and posture problems. Unisex. Elastic cotton post-operation belt for Man with adjustable velcro fastener. High 28 cm. Thorax support belt, adjustable velcro fastener. Orthopaedic corset with 4 back sticks and adjustable velcro fastener. Col. Black. High 26 cm. Light support Hernia-aids, with pockets for inserting pelote for more support.